Nearly six months away seems a long time but now I am in my dotage I know how things come around all too quickly and that includes what will undoubtedly include the mini drama of a local election on my own patch: St. Lukes Ward, to liven up my otherwise humdrum life, something I have written about in previous years, although we missed 2017. Having just come across the first election leaflet (from Labour) for next May’s election, it got me thinking. I have been around long enough to see the ward go from solidly Labour to solidly Independent (of the Alliance variation) with the time in-between seeing the Conservatives do well and (to my recollection) return four candidates. I enjoyed the May 2016 campaigns and thought there were a number of the candidates who would have served St. Lukes well if elected. I am sorry Donna (Labour) and Del (Conservative) will not be standing this year as I thought then (and still do) they would make good councillors. They both lost out to sitting Independent (Brian) who despite some cross swords has conscientiously tried to serve the residents. I actually ended up voting for Jason (Green) partly because I couldn’t make up my mind on the three front runners but also because he had some good independently thought out ideas on the environment and I felt would serve the residents well in the unlikely event he got voted in. 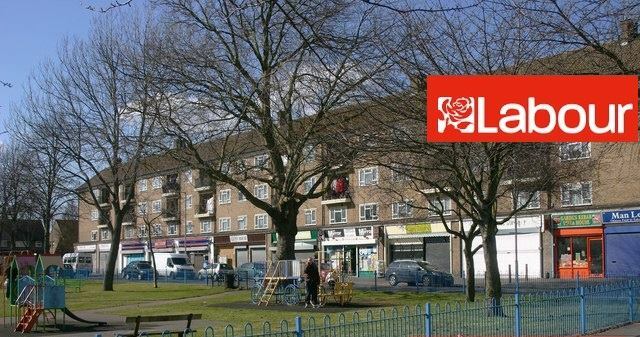 I am only aware of one candidate, Ian Pope (Labour) who has announced he will be standing and already he has impressed me by doing active campaigning and trying to get to know the ward. He has even produced a leaflet that has been distributed (I believe) to most of the homes in the ward. As some folk know, leaflets are important for me as it gives me a chance to read between the lines and gauge the candidates worthiness as to whether I should vote for him / her, and it was because her leaflet impressed me more than the rest I voted for that candidate in the May 2014 election. I doubt if I used that criteria this time around Ian would get my vote (unless the rest were worse, which is quite possible I suppose). I give him 10/10 for presentation and 5/10 (if I were Craig on Strictly it would be 3) for content. I get it he means well, sees there are traffic issues for example, and has shown a good attitude by getting stuck in, but he would have to do better than “The Labour Party in Southend believes in prioritisng a culture led regeneration …” to convince me this is not yet another BS statement and he really means business. But Ian deserves a fair crack of the whip and I hope he takes constructive criticism and feedback on board. I realise there is a lot to take in still e.g. regarding the ongoing issue of local health provision. I don’t know Ian and hope to meet him soon. I wonder if he is new to local politics, maybe part of the recent Momentum influx? Without knowing the alternatives I can’t say if he can rely on my vote (I generally tell candidates who ask me the answer is no and then toss a coin). I remain a political oddity insofar I vote for what in my opinion the best candidate, which is why not long ago I voted Green nationally and UKIP locally. I haven’t been over impressed with the Conservatives, locally as well as nationally (but that is true of Labour too), and as for the Independents, to give them their credit, Paul and Brian have a least tried to help residents with their issues, although I am still not sure what their vision is for the town and how to achieve it, although Caroline (who I believe is standing down) has been disappointing due to her lack of activity. Realistically, one would expect it will once again be between Labour, Conservative and Independent Alliance, but no one can say for sure. I really do hope though that the best man or woman will win. As a ward / town we need councilors who diligently serve the people they are meant to represent and provide the leadership we need when it comes to delivering for the common good. Having fired my opening salvo, I now wait and see what transpires. Looking outside St. Lukes, it looks as if there will be some exciting (for the spectator) duels. → Should we give to beggars?